The extraordinary a cappella group Lo Còr de la Plana, from Marseilles, performs incendiary songs celebrating the Occitan heritage of southern France. With unequalled fervor, they sing a repertoire ranging from the religious to the unbridled, featuring intricate polyphonies and snug harmonies in the Provençal language Occitan. 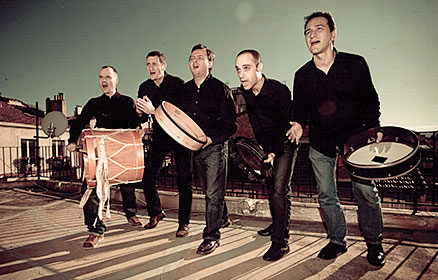 They accompany their wild and irreverent songs with bendir drums, tambourines, foot stomping and hand clapping.